You’ve been watching them on TV for decades. You’ve been reading about their techniques since you were a kid. 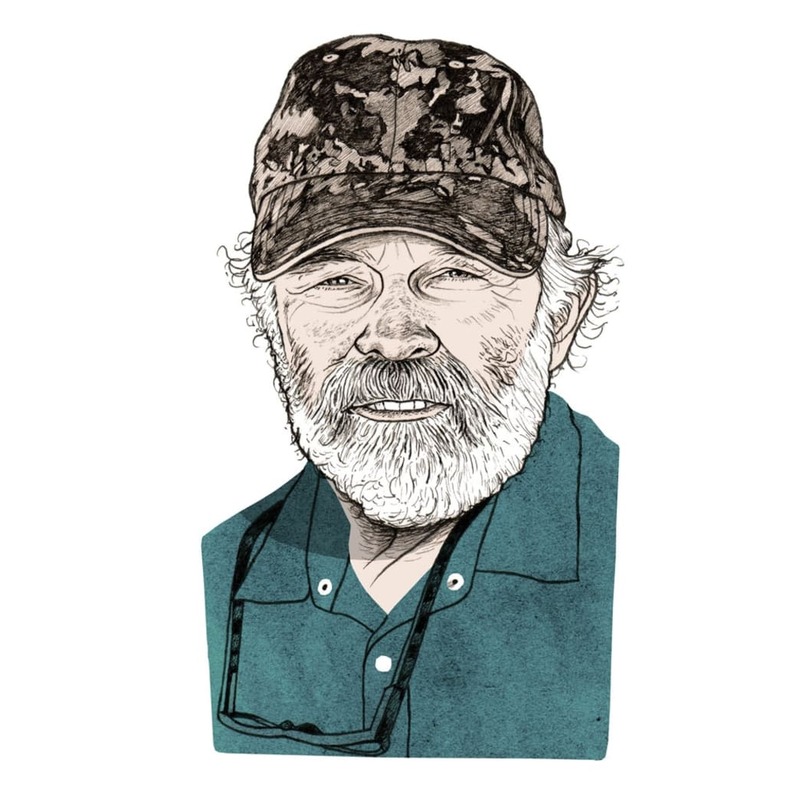 Now, we’ve asked them—some of the most respected ­outdoor ­legends in America—to pass on the one piece of hunting and fishing wisdom that will make you a more skilled outdoorsman this season and for years to come. On attracting trophy bass: Whether you bass fish or not—and whether you own a TV or not—you know Bill Dance. Arguably the most recognizable angler in America, Dance is also one of the most gracious, eager to share what he’s learned in well over 50 years of bass fishing. In that time, he’s caught lots of true hogs, and in doing so, he’s noticed a pattern that might surprise most anglers. A big bass will certainly clobber a noisy lure, Dance acknowledges, but he feels that many of those strikes come more out of a protective instinct than out of true feeding behavior. When you’re trying to get a large, smart bass to feed, he believes, noise will often make a bait seem less natural. 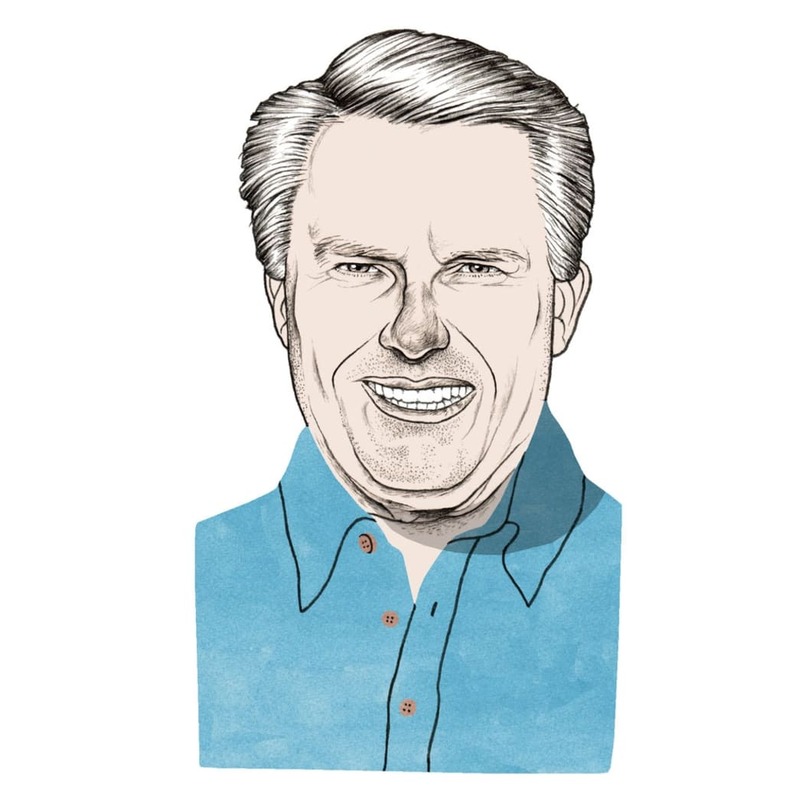 On success at an unfamiliar lake: Roland Martin has caught more trophy bass than the average angler could even fathom, and he’s done so during a decades-long tournament career that spanned the country. These days he’s known as the king of the big-bass scene in central Florida, but knowing how to produce in this part of the U.S. isn’t enough to help you win countless events thousands of miles away. Martin says anglers fishing unfamiliar waters can’t get caught up in the idea that all the bass are doing exactly the same thing. Power fishing means Martin opts to cover lots of water with heavy tackle and larger baits rather than putting all his eggs in the finesse fishing basket or looking for a group of deep or suspended fish. Part of the reason for this is that he learned the game long before advantages like side-scanning sonar existed, so power fishing is simply more familiar. It’s also well proven, and the trick to doing it effectively, he says, is to stick to cover. 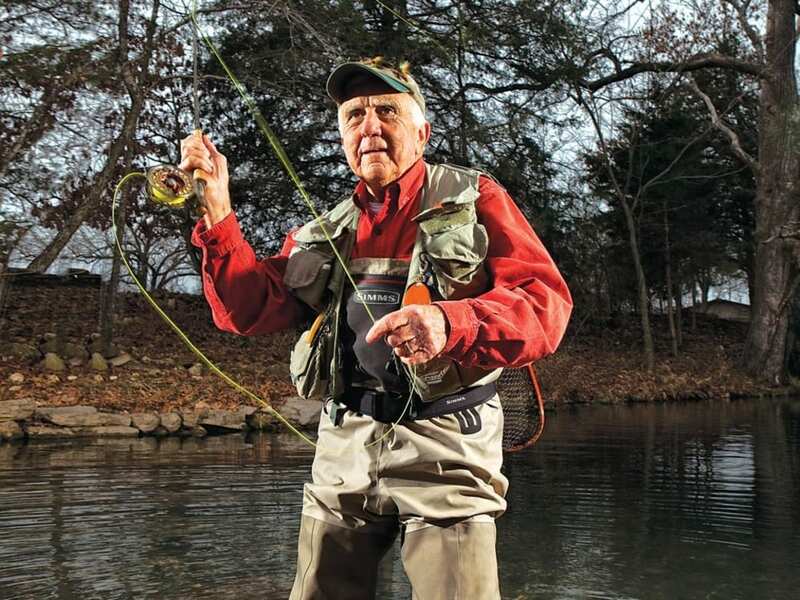 On dry-fly selection: Dave Whitlock has been flyfishing for more than 60 years. In that time he has written thousands of articles, authored some of the most influential books on the sport, and designed flies that have become so popular you probably have some in your box right now. Whitlock is also one of the most respected flyfishing instructors in the country, and while he’s helped students perfect everything from loops to distance, one of the biggest hang-ups he sees has nothing to do with casting or drifting. Above all other factors in dry-fly selection, regardless of what river you’re on in any part of the country, size will always matter most. Even though matching bug size seems easy, Whitlock says that this is still difficult for some anglers to grasp. According to Whitlock, a few basic “suggestive” dry-fly patterns in various sizes will get you by most of the time anywhere in the world. Not surprisingly, the Parachute Adams is one of them, because it matches almost any dun mayfly or caddis you’ll come across. The other choices in Whitlock’s top three, however, may not be what you would have guessed. On late-season turkeys: Tom Kelly says that at 90 years old, he doesn’t even take a chance on buying green bananas. But it’s a safe bet few have seen more Eastern wild turkeys called to the gun than he has. 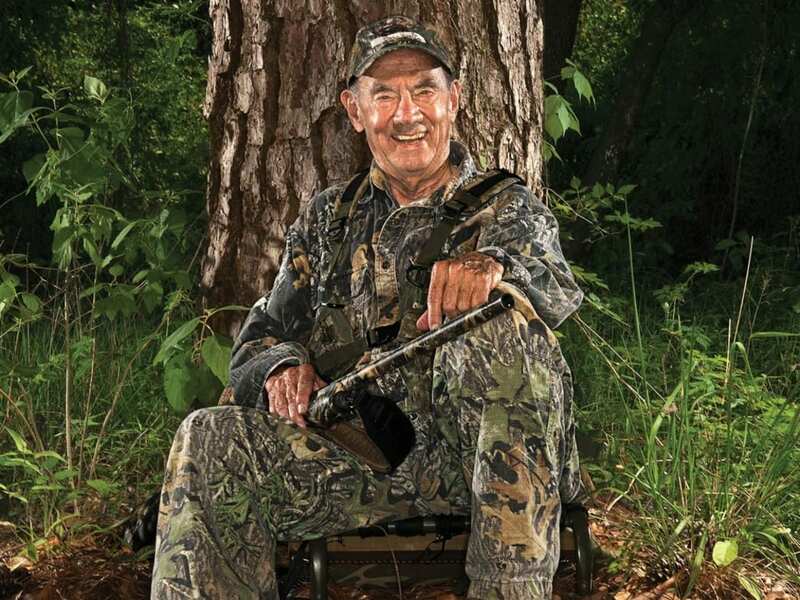 The author of numerous books and articles, Kelly entertains turkey hunters with his renowned wit and writing skills to this day. 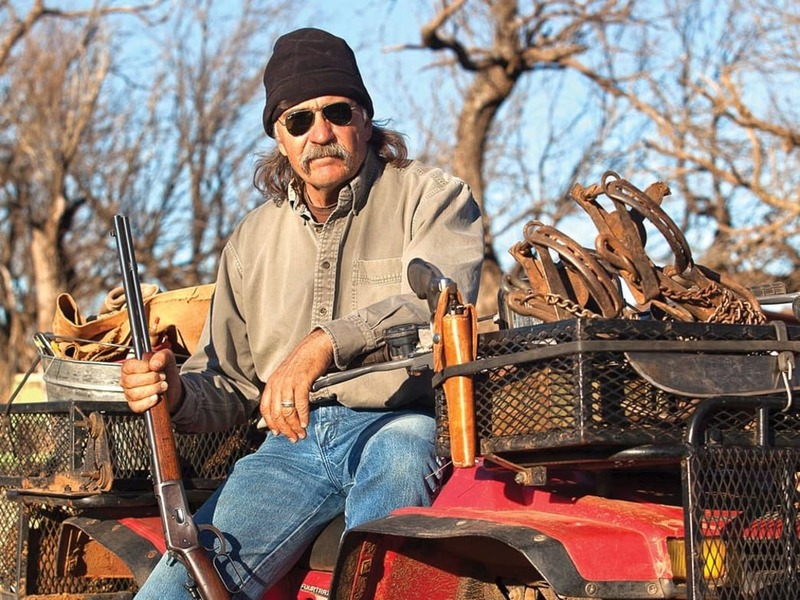 "Turkey hunting is the only thing I know that's as much fun at 80 as it was at 20." When Kelly first began turkey hunting, many thought there was no future for the sport. Only a few Southern states had short seasons. Of course, just the opposite happened. The restoration of the wild turkey may be the country’s best conservation success story. Kelly has watched tactics change as dramatically as the turkey populations. “I saw my first mouth yelper in 1952 or ’53. They made them out of lead and rubber. As many years as I spent sucking on lead turkey yelpers, I may be the most advanced case of lead poisoning in the country,” he says. 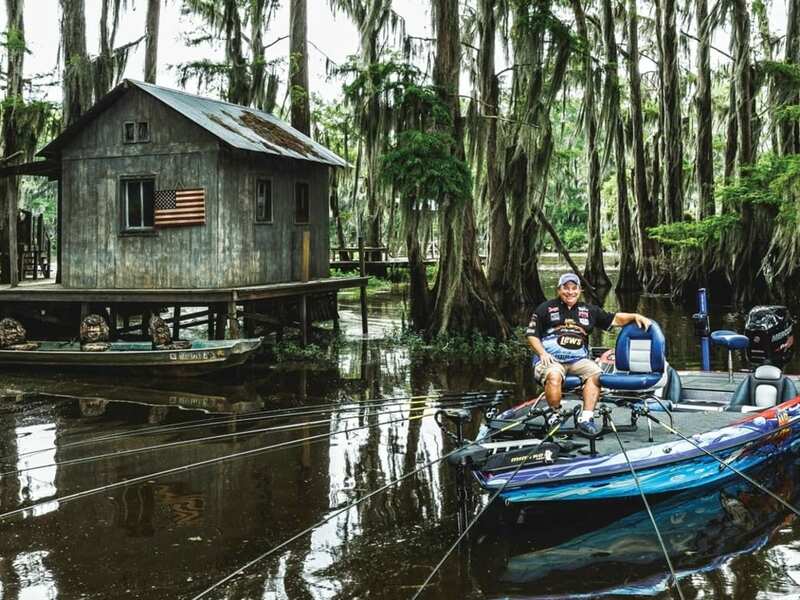 On following bass fishing trends: In Hank Parker’s long career as a tournament angler and TV host, he’s seen loads of bass fishing trends come and go. No matter how gimmicky they might have seemed at the time, however, Parker doesn’t believe that any of them should be utterly forgotten. Like many bass anglers, Parker believes that although catch-and-release has been instrumental in preserving the fishery, it has also made bass tougher to catch. 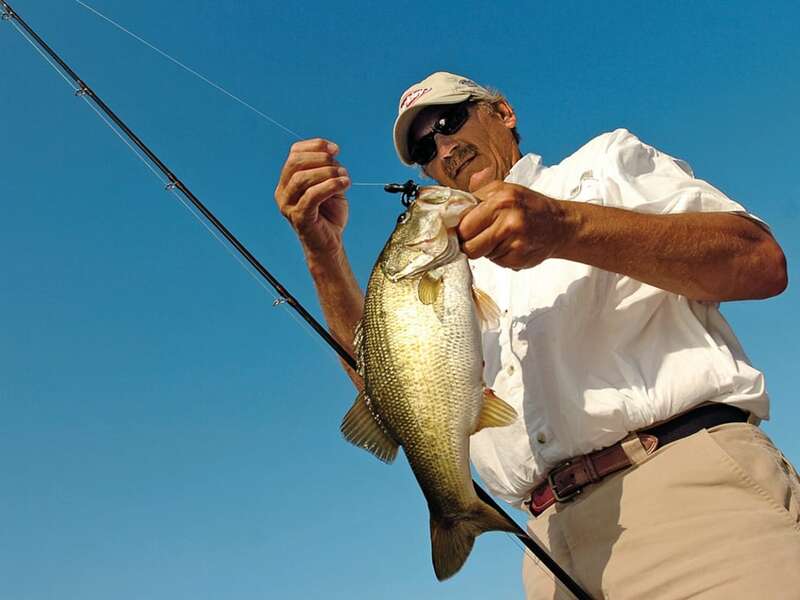 The more bass are hooked, the smarter they become, which is why he says trends and fads in bass fishing will never go away, and wise anglers will keep up with them. Of the more current trends, for Parker, none is more important for a modern bass angler to know than drop-shotting. 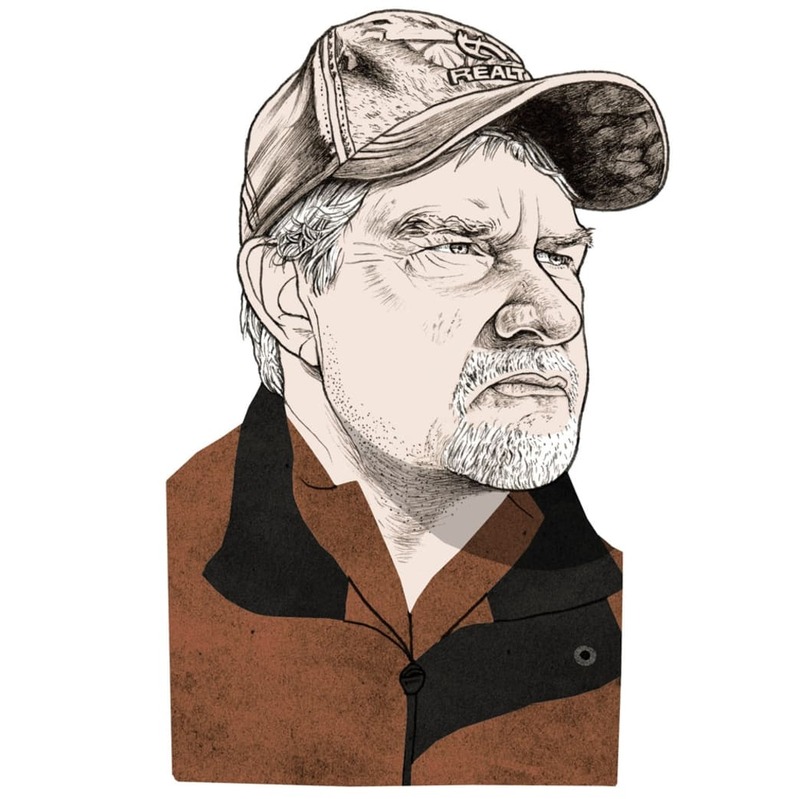 On aggressive deer calling: When Brad Harris began bowhunting back in the 1970s, most deer hunters were of the opinion that whitetails were all but silent—and that sitting still without making a sound was the only way to kill one. Harris tried grunting at a 6-point buck one evening with his voice because a buddy at work had told him that he’d heard a deer grunt. “That buck walked right to me, and I missed him,” Harris says. “But I’d found the sound I was after.” In the early ’80s, Harris went to work for the Lohman game-call company, and the first commercial grunt call was born. Harris hosted dozens of how-to, fair-chase hunting videos covering every­thing from squirrels and turkeys to whitetails and predators. He’s no longer in the game-call business, but his original call design hasn’t much changed. On fishing pressured crappies: Lake Fork in Texas is widely known as one of the best big crappie lakes in the country, and Wally Marshall—a.k.a. “Mr. Crappie”—was the first guide-for-hire to ever chase them on this body of water. 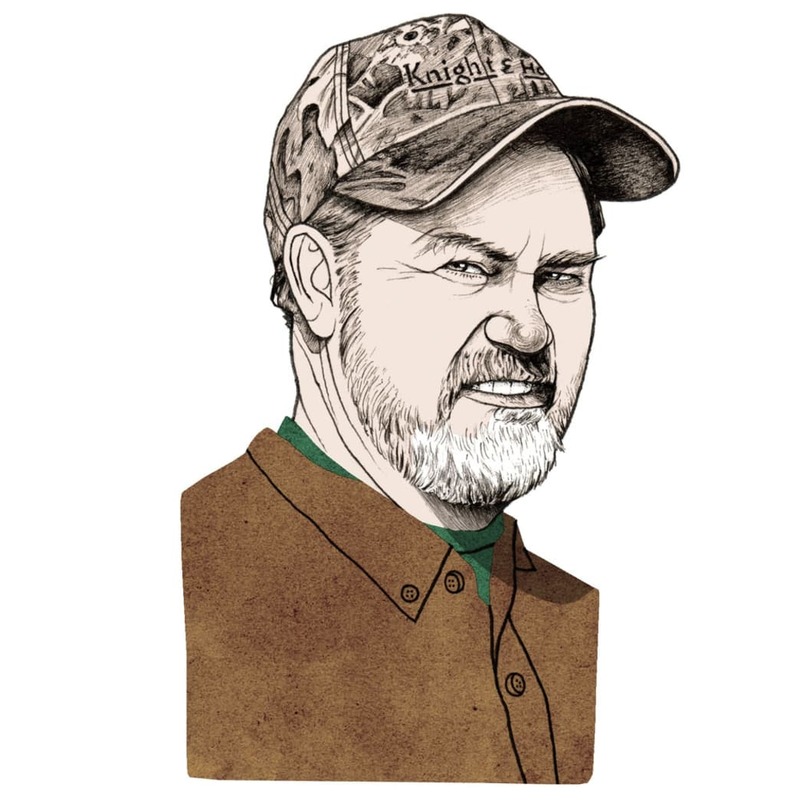 Much has changed in Marshall’s decades-long career as a tournament angler, TV personality, and crappie fishing educator. According to him, one of the most noticeable differences is in boat traffic. When Marshall was first starting out, he could plant a stake bed in a lake and rest assured he’d be the only one fishing it. Thanks to side-scanning sonar, planted structure (where legal) can be found in little time and with little effort. Because there are so many more anglers gunning for the same areas, Marshall says a successful angler in this day and age must be versatile. On modern-day Keys bonefishing: From snook to permit, tarpon to seatrout, an incredible number of species draw thousands of anglers to the Florida Keys’ skinny water every year. Angling legend and South Florida native Flip Pallot has caught them all on a fly rod, and though he loves every fish that swims in the backcountry, bonefish have always been one of his favorites. In Pallot’s early days of fishing the Keys, bonefishing was “better than the Bahamas,” as he puts it. Much has changed since then. Between environmental issues reducing habitat and a spike in angling pressure, a Keys bone on a fly has become one of the hardest species to add to your bucket list. This challenge may not be for everyone, but the payout is that if you connect with a Keys bone, there’s a good chance it will be the biggest bonefish of your life. To date, the Keys have produced 20 line-class and tippet IGFA bonefish records. For the dedicated angler seeking what has become one of the ultimate flats prizes, it’s important to understand that the fish still prowling the Keys flats don’t get big by being dumb. Fooling one on a fly can boil down to minutiae like skipping head cement on your flies to reduce unnatural smells. On playing the wind for coyotes: In the past 50 years, predator calling has evolved from a mysterious art form to a major off-season sport, with modern hunters wielding electronic callers, motorized decoys, and specialized varmint rifles. You could call Wyman Meinzer one of the original artists. Few have called in more coyotes than him, and surely no one has kept better records of it. Meinzer is an old-school hunter. He shuns camouflage in favor of green Filson wool pants, a dark shirt, and shadows. And he doesn’t use electronic calls or decoys. He makes his own open-reed predator calls, most of which mimic a cottontail in distress. Meinzer’s records show the average response time for a coyote is fast, usually four to eight minutes. The shots are usually around 75 yards away. And even in West Texas, where coyotes seem to live everywhere, the response rate most days is less than 40 percent (Meinzer defines response as seeing a coyote, whether he gets a shot or not). Making multiple setups is the key to consistent success. Written by Joe Cermele for Field & Stream.